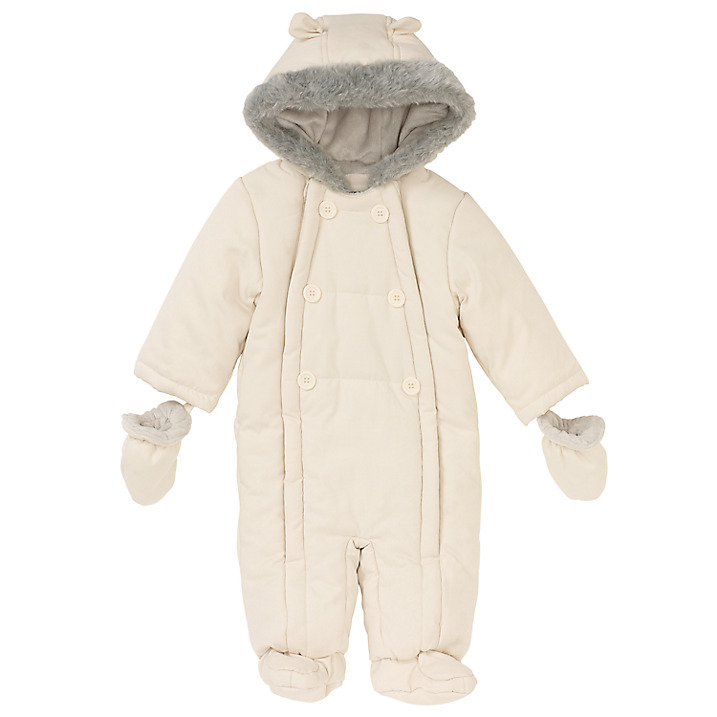 The John Lewis Baby Wadded Snowsuit features small ears on the hood and a cosy faux fur trim. The front is finished with double breasted buttons which provides easy on and off. The waterproof snowsuit comes complete with detachable mittens.